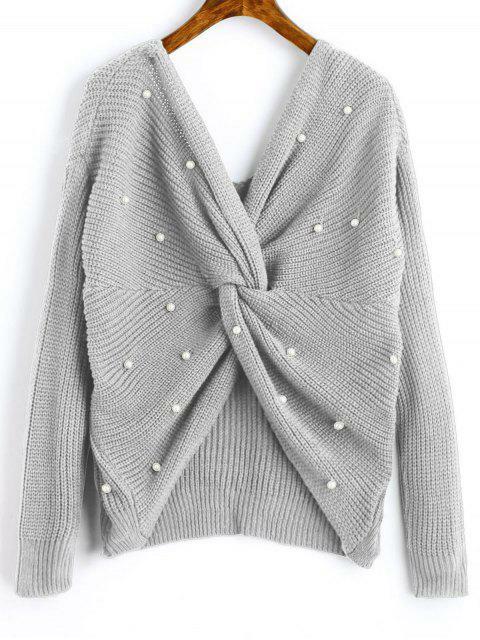 [42% OFF] 2019 V Neck Twist Pearly Sweater In GRAY CLOUD | ZAFUL .. 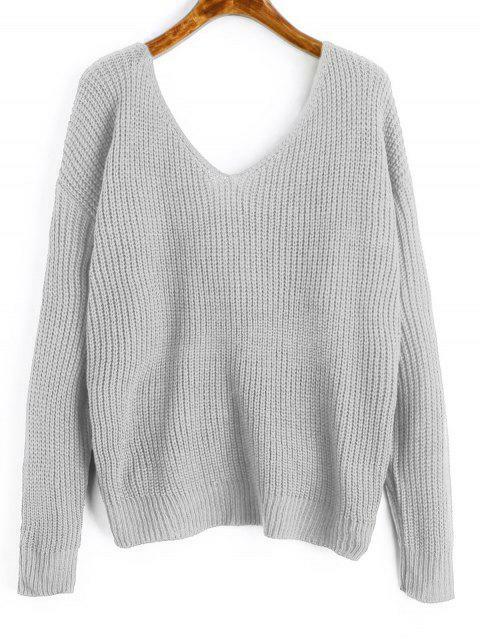 This is possibly my favorite sweater/ crop top. The pearls are a wonderful touch to it and can be worn to just about any occasion. It’s true to size as well so that’s great! 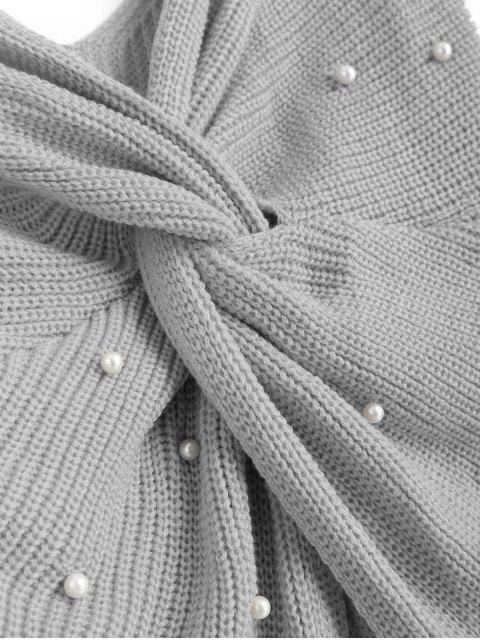 This pullover sweater features a twist front with faux pearls and a uneven hemline in a loose-fitting silhouette.